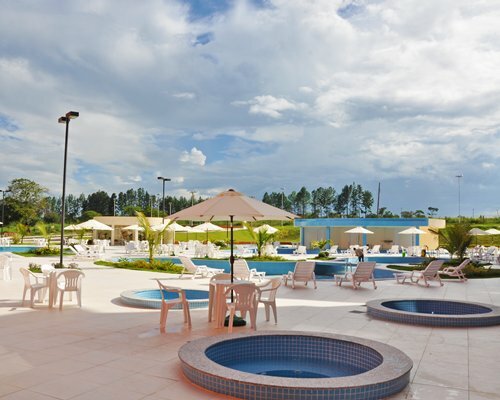 The Lagoa Quente Flat Hotel is located in Caldas Novas - Goiás and offers a lot of fun and comfort to guests. It is only 6 km from the city center. 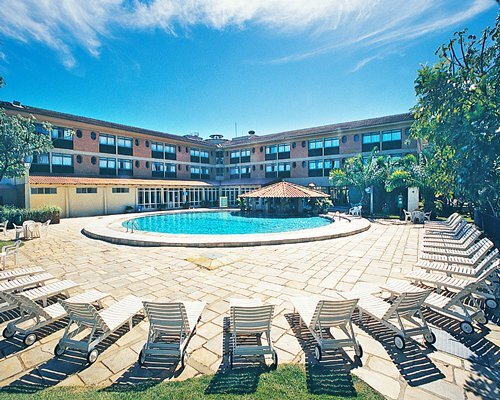 The hotel has six swimming pools, games room, sauna, hot tub, gym and sports court. 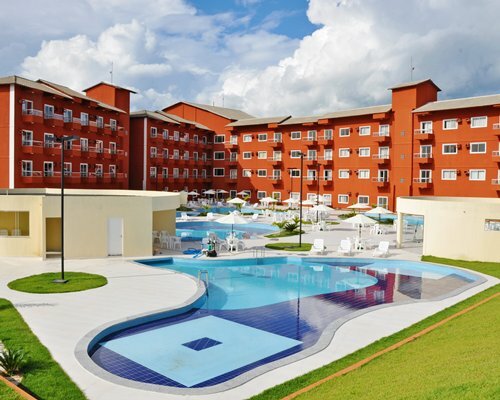 In addition, it is located in front of the water park Lagoon Thermas Park, the water park is outsourced, has 400 thousand m² occupied with slides, kamikases, adult and children pools, playground and immense green area. 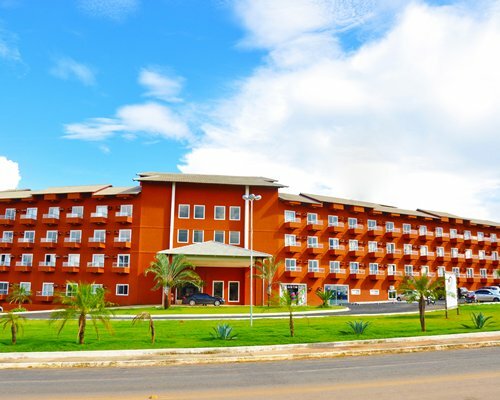 The hotel also has several services such as wi-fi, safe, laundry, parking, photo services, coffee shop and snack bar, shop and ample space for events.RCI reservations do not include the entrance park water park Lagoa Termas Parque. 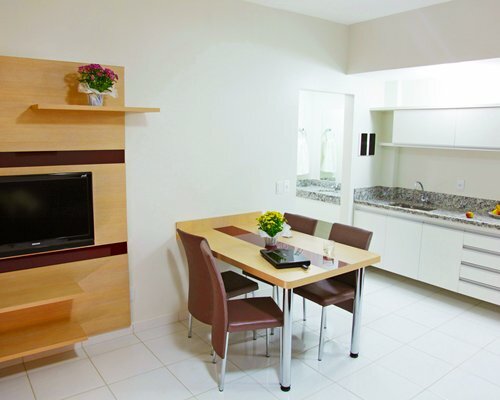 The accommodations are comfortable and modern, divided into Apartment Topaioz and Emeralda Studio. All of them are equipped with double beds, air conditioning, refrigerator, microwave, 32'' LCD TV, balcony and bathroom with hairdryer. 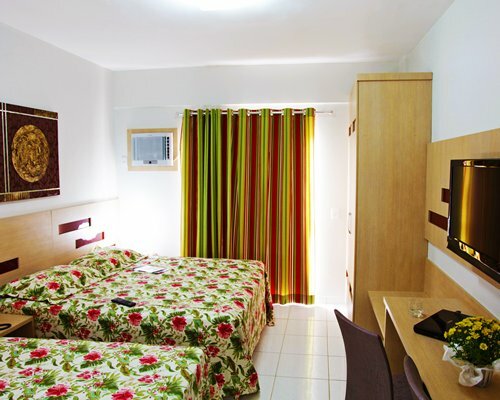 The Esmeralda apartments have, besides the suite, a living room with 1 sofa bed, ceiling fan and telephone.Types of Units: Hotel unit Topazio: MAX OCC 3/Priv MAX OCC 2 with 1 double bed and 1 single bed with 1 bathroom, LCD TV, air conditioning, telephone, wireless Internet access, mini bar and microwave. 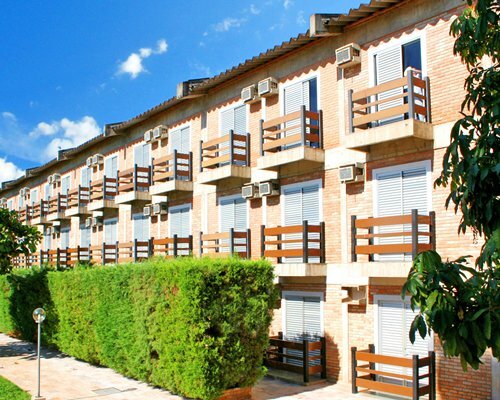 And Unit 1BR Esmeralda: MAX OCC 4/Priv2 with 1 double bed and 1 sofa bed, 1 bathroom, mini bar, microwave, LCD TV, air conditioning, ceiling fan, wireless Internet access and telephone. 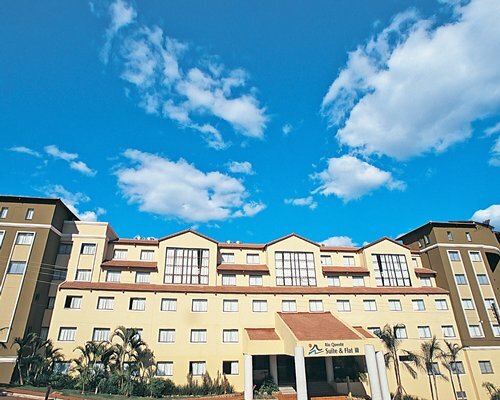 The airport in Goiania Santa Genoveva is 8km from the center of Goiânia and 160km of Caldas Novas. 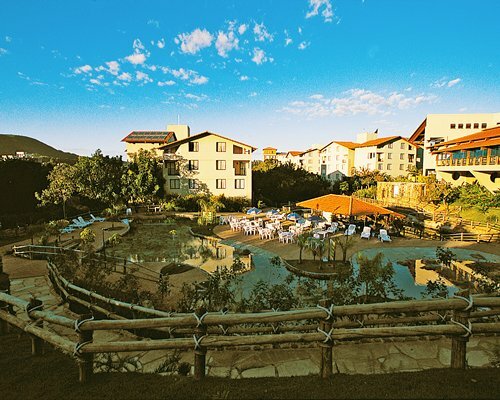 To Caldas Novas follow GO-213, pass through the Sierra Verde and take the first turn to the left, enter the first right to Ipameri, reaching to a round a bought, enter the second right on GO-412 towards Lagoa Quente, turn right go through a forest road and at the end the Lagoa Quente Flat Hotel will be right in front.